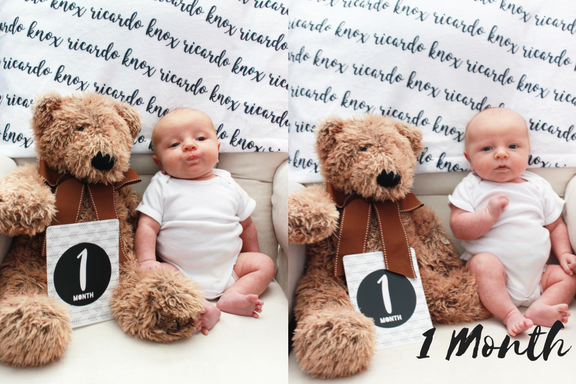 What an incredible first month of life it has been for our precious Knox! He is quite the amazing baby with such a calm temperament. Having a good baby has made the transition to a family of four pretty effortless for us. I used to be sad that my children weren't going to have the same age difference between them as my sister and I (we are 2 1/2 years apart), but I am actually thrilled that they are almost five years apart. Kendall has been such a BIG help to me and I know that if she was only 2 1/2 instead of almost 5 that things around the house would be much more chaotic. Knox is our last baby and I am well aware at just how fast time flies with little ones. I'm trying to hold him as much as possible and cherish every single moment because his itty bitty days are fleeting. Stats: At Knox's most recent doctor appointment he weighed in at 8 pounds, 14 ounces. That is 2 pounds and 10 ounces more than at birth!!!! His pediatrician said his weight gain is from proper nutrition...meaning the boy can eat! At two weeks old he was 19.5 inches long, but I am certain he is longer than that now as certain pieces of clothing don't fit his length. Development: Knox seems to be right on track with all developmental milestones. He has had a very strong neck since birth and is able to hold his head up for a good while. I often try to hold him upright over my shoulder and he will always look around to see what is happening. He smiles a lot in his sleep and has smiled at both me and Tolar at different times. We can't wait until the smiles come more often. Loves: Knox loves his DockATot. It is incredible how calm he is whenever I place him in the lounger. He will nap and just hang out in the DockATot a lot because he loves it so much. He also loves his sister! As crazy as it may sound, he really does recognize his sister's voice and touch and is always calm and happy when she is around. Dislikes: Like most babies, Knox does NOT like to be cold. We've had several doctor appointments and he often cries whenever a cold stethoscope is placed on his body. He also doesn't really like to have his clothes off when I change his diaper. Sleeping: He's been a pretty decent sleeper since birth. While he is still a newborn and does wake up during the night, he really only wakes up about once. We usually go to bed around 10:30 or 11 p.m. and Knox will wake up anywhere between 2 and 3 a.m., then he is back up around 6:30 or 7 a.m. We are of course ready for a full night's sleep, but we are thankful that he isn't up A LOT throughout the night. 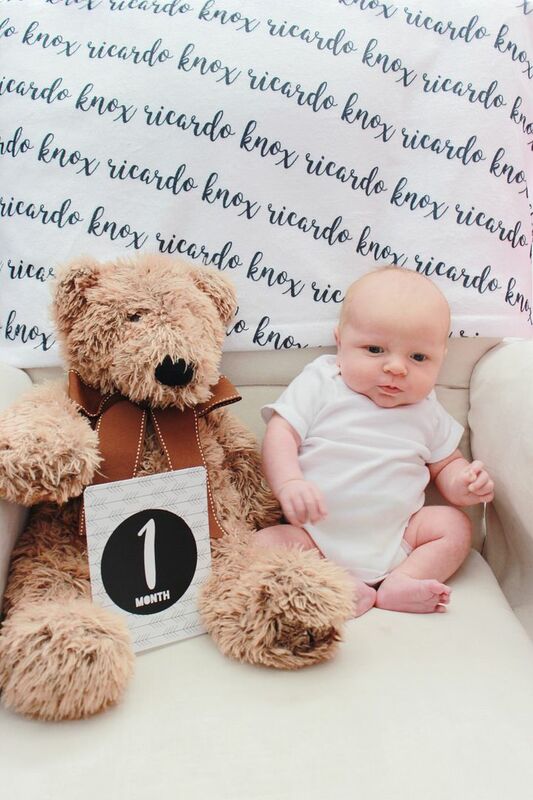 Diapers: For his first month of life, Knox wore Newborn diapers. But in the last week, he has graduated to size 1 diapers. We are a Pampers brand family. Eating: As you can tell from his weight gain, Knox loves to eat. He eats about 7-8 times a day and eats a lot. He has consistently gained weight since birth which has been a welcome change from Kendall's first month of life where we had feeding issues with her. 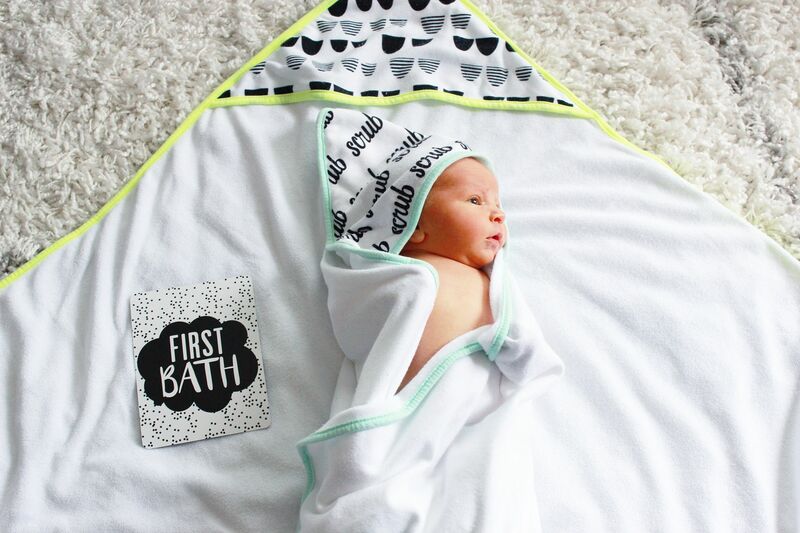 Clothing: Just like his diapers, Knox wore newborn clothing for his first month of life. He can still wear some newborn pieces, but since he has grown in length several of the pieces are too short for him. I've officially moved him up into 0-3 month clothes. Our time in the hospital started Friday (early) morning (March 16) when I noticed that Knox was having very labored breathing along with a horrible cough and other cold symptoms. We called the pediatrician and were told to take him to the hospital. Knox tested positive for RSV (which can be harmful to infants) and his X-rays showed quite a lot of excess air/gas in his stomach, causing his stomach to be distended. The doctor at our local hospital was concerned about the amount of air in his stomach, so she consulted with a pediatric surgeon in Roanoke who said we needed to be transported to Roanoke Memorial Hospital for the surgery team to examine him. After spending 2 days/1 night at RMH, we were released. The surgery team felt that his stomach would return to normal once he got over his cough/RSV and stopped sucking in extra air. He only needed additional oxygen for our first day there so they were confident we could go home. Everyone is confident that once his cough goes away that his stomach will return to normal and his respiratory rate will slow down. Unfortunately when we took him to the pediatrician on Monday, his respiratory rate was between 90 and 120. It should have been between 50 and 60. His fabulous pediatrician was very concerned about his fast rate of breathing and conferred with more doctors at RMH, realizing that we needed to head back to the hospital. The big concern was that his rapid breathing would tire him out. Additionally, his stomach looked more distended to us. So back to Roanoke we went where we were admitted again. The surgery team took more X-rays and were pleased that zero blockage was found in his stomach and GI tract. While there was a ton of air, no blockage was there causing any harm to him or need for surgical intervention. The pediatric doctors monitored his fast breathing, but all other tests proved that our Knox was safe. They let us come home yesterday. His rapid breathing is likely happening because the extra air in his stomach is taking up some of the space needed for his lungs. The pediatric team was comfortable sending us home after seeing his oxygen levels were normal and that Knox overall had a very good temperament and was not showing signs of distress. That awesome that he a great sleeper. He such a cutie. It amazing how fast the months have been flying by. My daughter just turned 5 months this month. Which I still can't get over. The first month of baby brings a lot of excitement as we get to see many changes in baby. Your baby is looking so so cute.